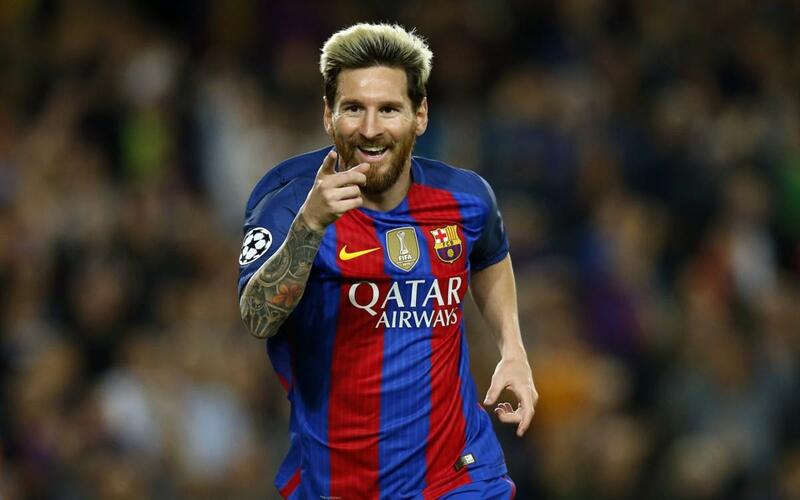 Lionel Messi racked up his record seventh career Champions League hat-trick and NeymarJr added a late goal as FC Barcelona breezed past Manchester City, 4–0, in front of a season-high 96,290 fans on Wednesday night at Camp Nou. The victory keeps Barça a perfect three-for-three and way out in front in the Group C standings and deals a hard-to-swallow loss to City and their manager Pep Guardiola, who was handily defeated at Camp Nou for the second time in two matches since leaving his lifelong club five seasons ago. Messi put Barça up 1–0 in the 17th minute after recovering his own turnover in the City half and driving in towards goal before feeding Andrés Iniesta. But when Iniesta got tangled up with Fernandinho, and they both stumbled to the ground, Messi, wisely pursuing the play, picked up the loose ball right around the penalty spot and pump faked former Barça teammate and City goalkeeper ClaudioBravo to the turf before dumping the ball into the net unfettered. Messi made City pay almost immediately, giving Barça a 2–0 lead in the 60th after Iniesta took advantage of a KevindeBruyne turnover and fed Messi, who took two steps near the edge of the area and neatly tucked a low shot just inside the post. Nine minutes later, in the 69th, Messi completed his hat-trick. It was another sloppy turnover by City that ended up at the feet of Suárez, who found Messi trotting in on goal, and the Man of the Match volleyed in past WillyCaballero to make it 3–0. The first-half saw JordiAlba pull up lame in the 9th minute and prematurely taken off for LucasDigne. After Messi began to heat up, the Citizens responded with a series of hard fouls. In the 29th, City’s DavidSilva drew a yellow card for a tackle from behind on defender GerardPiqué. Suárez drew one as well. Barça goalkeeper MarcterStegen, who turned in a clean sheet, was tested a handful of times throughout the game, but none more than in the 38th minute, when İlkayGündoğan dribbled around Piqué and had a clean look from just outside the six-yard box. Ter Stegen, though, was up to the task, squaring up to the shooter and cleanly swatting away the threat with a one-handed save. Piqué, noticeably limping ever since the foul from Silva, was subbed out immediately for JérémyMathieu. The Club's medical staff released announcements regarding the status of both Alba and Piqué after the game.